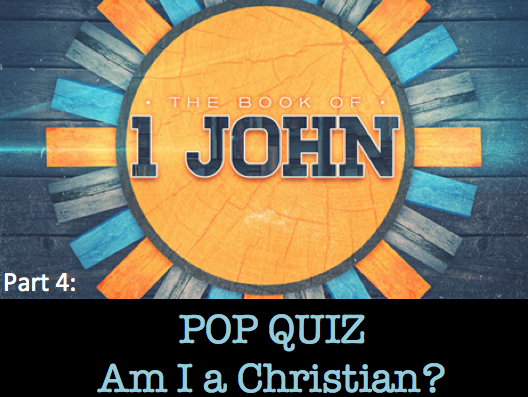 You are here: Home / Events and News / July 24th News: Am I a Christian? July 24th News: Am I a Christian? One question that every Christian will deal with as they navigate through this life is this: Am I really a Christian? Both external and internal circumstances can create confusion and cause each of us to question our faith and the goodness of God. But John wants us to know, beyond a shadow of a doubt, that if you have placed your faith in Jesus as the only way to be accepted by God– you are secure in the assurance of your salvation. How does he do this? He raises a couple of questions to ponder. To prepare for this week, read 1 John 2:3-11 and see if you can discover the two questions– or tests– of true faith. Join us at the church service at Russell House to minister to the men and woman who attend. Cooper Browning will be sharing. Doug will be preaching at the church service for the PIN Ministry this Sunday (July 24th). If you would like to come and see how PIN serves our community, join us at 3:00 at Beach Pentecostal Church (503 15th St, Virginia Beach).